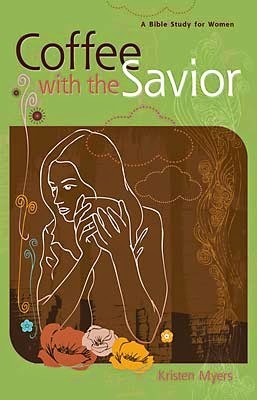 In Between the Sunsets of Life: Coffee with the Savior - He Wants to Have Coffee with Me? Coffee with the Savior - He Wants to Have Coffee with Me? As we begin this bible study together, the author suggests starting by asking God for the simple desire to respond to HIM - Father, Son, and Holy Spirit. Just start there, small and simple. That's what I ask too. In childhood days we would perhaps ask, "will you be my friend?" As an adult I don' t ever recall asking someone to be my friend. Normally friendships are created by common interests, family life, occupations, etc. They just happen. Or do they? Perhaps sometimes, but I like to think that God places those common denominators in our lives to help us grow closer to Him. Perhaps some of these friendships are a struggle at times, perhaps they are joyous most of the time. Either way, God created us to be in friendships. He also created us to have a friendship with Him. On a daily basis He longs for us to gather with him and converse. The friendship with God is a gift, to receive it you must accept God's grace and salvation. And just like growing an earthly friendship, it takes work. It takes presence. And yes, sometimes even the friendship with Him will seem difficult. But only because we put a barrier there. You might be thinking, "Oh he wouldn't want to visit with me, I've yelled at my kids, don't go to church weekly, am jealous of my neighbor." But you are wrong. Let's take a look at Moses. Moses was a Hebrew that shouldn't have lived much past birth. At three months old, his Mother placed him in the river hoping the best for him. Do you think that Mother did that on her own? My point is, sometimes we, and I'm guessing Moses as well, don't feel we deserve a friendship or love from God. No one and I mean no one loves us or longs for a friendship with us more than God. It's a gift. Truly it is. You can visit Him throughout the day, designate a special time in the morning or lunch hour, you can be doing laundry, cooking dinner, or weeding your garden. God doesn't care where we are, He just wants a growing friendship with us! The hurts and disappointments of the past, we can't use these to block our friendship with Him. It's a choice and a sin. It's time to lay them at His feet, grow in his Word, and develop the ultimate friendship that is offered to you. How do you nurture your friendship with God? I personally visit with him on and off throughout my day, I keep a bible on my desk at work, and my drives home are usually spent visiting with him as well. I'm far from perfect, I am still a work in progress on time spent with him. Share your ideas, it might help someone else! I am thankful you stopped by and I look forward to meeting with you each week!